The desktop is no longer the primary computing device in todays workplace. We do more work on the move, using wireless devices such as smartphones and tablets than ever before. We increasingly depend on wireless and mobile solutions to do our job. This development can be seen across a multitude of industries such as oil and gas, utilities and energy with extensive remote assets and several maintenance intensive processes. The growing complexity of oil installations, often required very specific work orders and access to information instantly. Field workers and Engineers need to quickly access relevant information, work orders and documents to perform their job efficiently. The case for mobility in the workplace is simple, an ERP system helps organization work more efficiently, reduce human errors, monitor progress, schedule maintenance, reduce costs, as well as improve inventory management and work routines. Read more about workflow management in hazardous areas and the smartphones for hazardous areas white paper. SAP Work Manager is a mobile tool that streamline processes by eliminating paper work and shortening work cycles. Users reduce maintenance costs by working to standards as well as keeping assets running at peak performance with shorter response times and timelier maintenance. The SAP work manager app can be downloaded from the SAP app store here. SAP rounds manager is used to record more accurate measurements and readings by eliminating on-paper notation. The app allows you to automatically compare new data to tracked historic standards and safe ranges and generate notifications of potential problems on-the-spot. 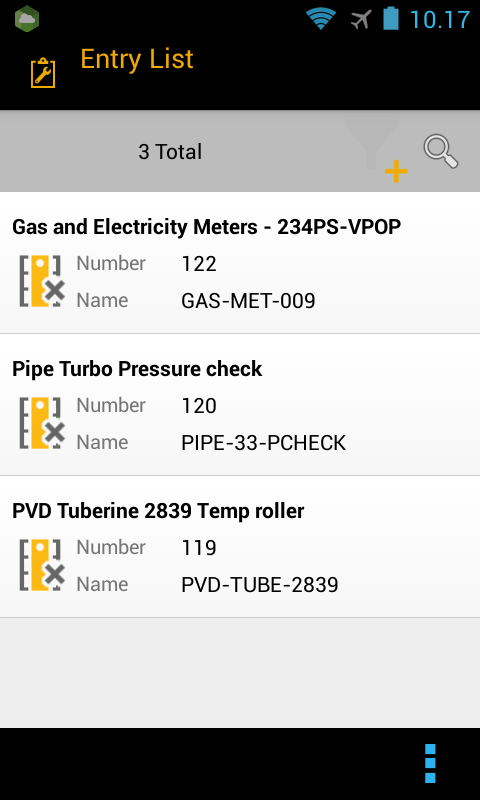 The SAP Rounds manager app can be downloaded from the SAP app store here. Having the right information about an asset at the point of repair and maintenance can improve technician productivity. The power of mobility allows the engineer to be the origin of all data capture on a service event. They can easily inquire on asset history, record parts used or parts needed for repair, record labor hours, and expenses as they occur, and any notes of repairs performed. Read more about IFS Mobile Work Order here. IFS Scan It lets you capture data and execute often time consuming ERP processes within and beyond the warehouse in a simple and efficient way on smartphones as well as ruggedized professional devices. IFS Scan It comes with an easy-to-understand user interface consisting of a process menu to get you started, followed by a customer configured process flow which for each step tells you what to capture by scanning a barcode or manual entry. Read more and download the app here.